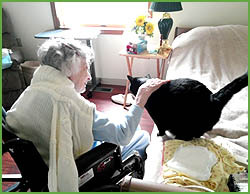 Alzheimer & Dementia Care, serving Lehigh Valley & Berks County, PA. DISCOVER the many opportunities you will choose from at Cornerstone Living when simply living apart from you spouse is not an option. Choose a couple’s suite or a larger private room to share. You may even want two separate private rooms but whatever your choice is Cornerstone Living will accommodate. Special couples rate packages will be applied regardless of your choice of room. Contact us for me details and exciting rates and together packages you will experience when you stay at home with Cornerstone Living. CALL TODAY!!!. 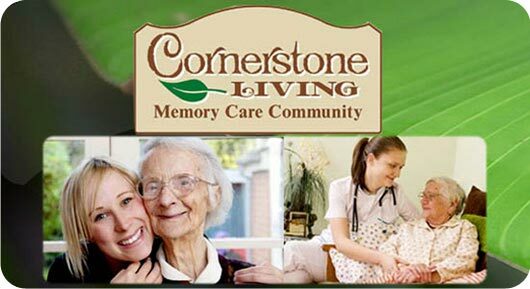 ABSOLUTELY, your pet is always invited to live with you at Cornerstone Living. Remember, Cornerstone Living is YOUR home and to many of us a pet equals joy and unconditional love. Most day pets bring a ray of sunshine to a cloudy day. As you know pets come with great responsibilities and demand care and looking after each and everyday. Cornerstone is here to HELP. Contact us for more complete details regarding allowable pets and requirements. CALL TODAY !!! 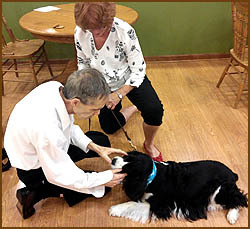 At Cornerstone Living, therapy pets are routinely seen bringing joy to those pet lovers. Witnessing & personally experiencing what pets bring to people is in our book a YES. Smiles & the unconditional love... you can only do right. Discover our pet friendly approach by asking us for more complete details.